WordPress offers an easy to use, powerful system for putting you in control of your own content. WordPress began as a blog service in 2003 and has since evolved into a powerful Content Management System (CMS), now supported by 1000’s of web designers and developers around the world. Major corporations and organizations now use WordPress to power their websites. Josh.biz has been designing WordPress powered websites since 2010 and recommends it for all websites where users wish to be able to update their own content and operate a news/blog page. Beyond this, WordPress also offers almost infinite benefits for the success of your website, encompassing design, functionality, social media incorporation and search engine optimisation. WordPress allows you to update your web page content yourself (text and images). There’s no need to employ a web designer every time you want to update your website. 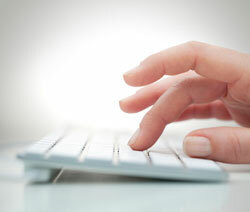 With basic IT skills and a small amount of training, you can do it yourself. That means no more waiting around for your web designer to update your pages for you. WordPress allows for multiple users to be set up, permitting different members of staff to update both the website and the blog (with differing permission levels available). 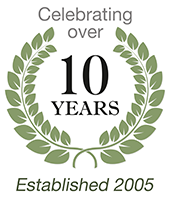 Josh.biz operates a dedicated WordPress Support website for our clients at www.wpmadesimple.org. 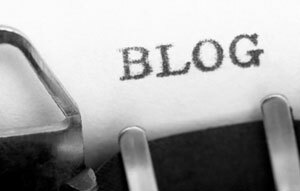 Running a ‘blog’ page on your website simply means having a dedicated page where you can publish stories (known as ‘posts’), usually about your business, organisation or industry. You don’t have to call it a ‘blog’. Some website owners prefer to call it ‘News’ or ‘Updates’. But, essentially, it’s always still a blog. A blog provides an easy mechanism for you to communicate with your audience, demonstrating your passion for what you do and coaxing users to come back to your website (time and time again). Search engines love websites which continuously provide fresh new content and that’s exactly what a blog does. Load it with your targeted keywords and formidable SEO benefits are gained. New publications (both pages and blog posts) are almost instantly notified to Google. Place a new post on your blog page and Google will usually index it within minutes, bringing new visitors to your website within the hour. 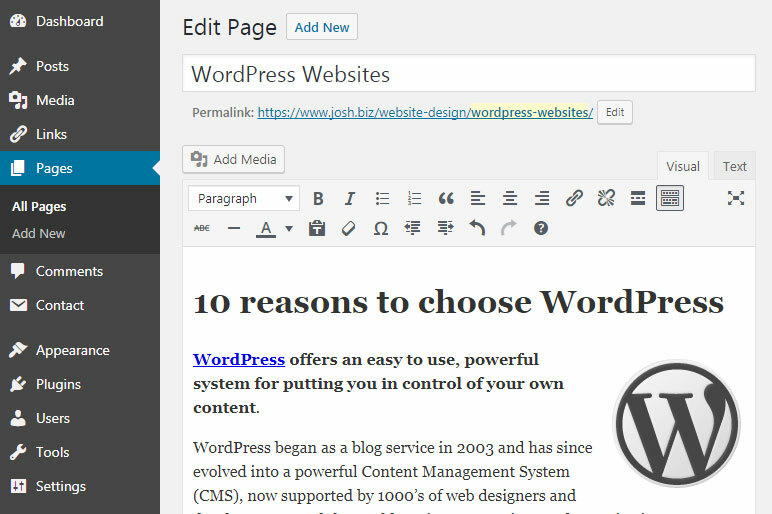 WordPress makes it very easy to update your web pages and add posts to your blog, using a friendly editor. It’s very similar to basic word processing. This means you can focus on writing for your website, not studying tedious code. Even adding images, videos and PDF documents is easy. WordPress is free to download, use and update. As the WordPress website explains, “WordPress is an open source project, which means there are hundreds of people all over the world working on it (more than most commercial platforms). 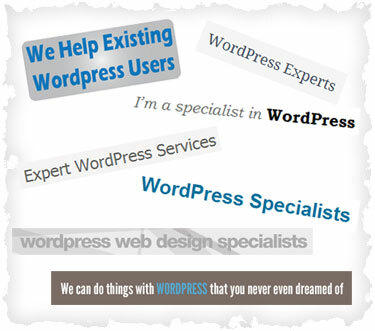 WordPress developers and experts are relatively easy to find. This brings peace of mind for you, since the technology running your website is not at risk should you part company with your web designer (or should they go out of business). WordPress websites can be easily transferred from one provider to another. This also means that costs are very competitive. WordPress powers over 28% of all websites (2017) and is the most popular CMS (content management system) on the internet. 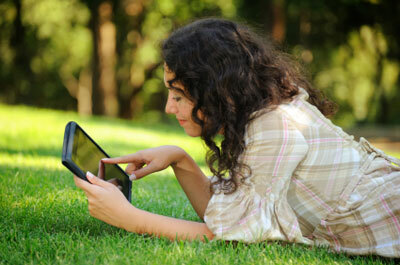 It is continually developed and improved to offer the best experience possible. It is entirely scalable, suitable for small and large projects alike. And, WordPress allows your website to grow with your business. 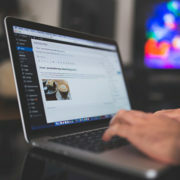 WordPress websites can be updated from any internet connected computer, tablet, smartphone or similar. So now you can update your website, even when you’re on the move! WordPress continues to evolve. It is constantly updated, bringing new features and making life even easier. Updates are also released to resolve security vulnerabilities which (due to the nature of the internet) are a constant threat. Our WordPress Maintenance Service takes care of all of this for you. We will ensure your version of WordPress and all integrated technologies are always up to date. Your visitors can search your entire website for content. The functionality of WordPress can be extended through ‘plug-ins’.